This is one of the cleverest and most amusing books I have read. It is a well-deserved parody of those "casebooks" in which students are given different interpretations of a work of literature. 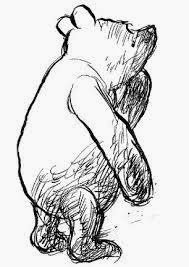 Frederick Crews, Professor of English at Berkeley, California, writes no less than twelve different takes on the Winnie-the-Pooh books, complete with suitably absurd questions and discussion-points at the end of each section. The Freudian, Marxist and evangelical Christian "interpretations" are especially funny. I also enjoyed a "lecture" from a Yale professor (named "Murphy A. Sweat") attempting to persuade an audience of sporting jocks to read something, by posing as "one of the guys", and an essay by "Simon Lacerous" (obviously meant to be F. R. Leavis), comparing the Pooh stories unfavourably with the works of D. H. Lawerence. After reading this book it is difficult to take any high-flown literary theory seriously. Professor Crews has since brought things up-to-date with a second book of parodies, entitled "Post-Modern Pooh".